Perhaps you’ve seen this already on Facebook. 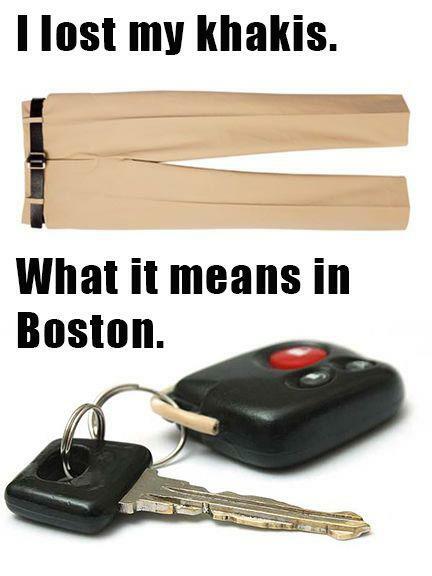 For those not familiar with the Boston accent, this is actually quite accurate. And for the record, yes, once upon a time I spoke just like this. For the price of a martini I can trot out the accent with surprising ease. This entry was posted in Boston Slanguage and tagged BosGuy, Boston, Boston Guy. Bookmark the permalink. I’m well familiar with BostonTongue. Living in RI we get a fair amount of that here too.